After the main event match at UFC 131, Shane Carwin discusses his injuries and opinion about his fight against Junior dos Santos. During the 3rd round of the Junior dos Santos and Shane Carwin match, the former interim champion Carwin had a little percentage of vision on his eyes, yet he still have the hearts to continue fighting hoping that he still have a chance to defeat dos Santos. Carwin suffered a broken nose and bloods drifting down on his eyes making his vision to be blur but still thinking that if he can land a perfectly place shot on dos Santos face, he could might still win the night out of the punishment he obtain. According to the interview between Carwin’s manager Jason Genet of ingrained media and MMAWeekly.com, Carwin is suffering from a broken nose and possible cheek bone or orbital fracture. Even with a little vision, problem with his breathing and the thought that dos Santos already won the match, Carwin still showed that he still has the heart and guts to finish the fight against dos Santos. On his hometown Colorado, Carwin is now waiting for the final result of his examination for the severity of his injuries. 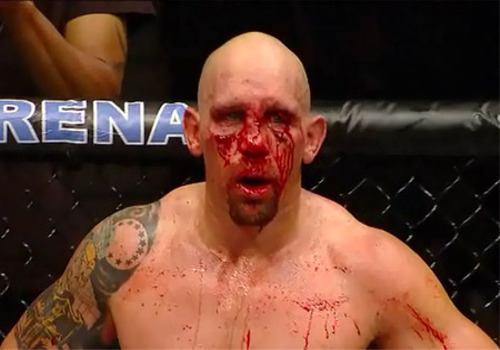 Even with his defeat, Carwin promised that he will be back inside the octagon and compete again. Now, Carwin will be out on the action to recover from his injuries. Once his medical status is updated, he will know how long he will have to rest and plan his return to UFC.